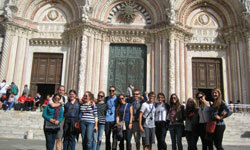 Earn up to 10 credits through a wide variety of courses when you study with AIFS in Florence, Italy. You may choose to live in a homestay or a shared student apartment. Enjoy cultural activities such as guided city walks, visits to the many museums, churches and cultural sites of Florence, Italian cooking classes, opera and ballet performances, Italian cheese tastings, a gelato tour, and day trips to Pisa, Lucca, the Cinque Terre and more. 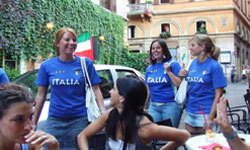 Optional trips include a 3-day trip to Rome and a 3-day visit to Venice. Offering more than $800,000 in scholarships, grants and financial support each year!